What really makes Action Garage Door different? We are dedicated to helping our customers get their garage doors working the way they should. We train our technicians and perform a background check on each of them. In addition to inspections and quotes, we also offer warranties on our services. We are also prompt. If you have a garage door emergency, we can be there to help within an hour. For years, we have been providing residents all over Barton Creek with the garage door service they need to have their garages in the best working order. As a garage door repair company that is committed to customer satisfaction, nobody beats Action Garage Door. Our family-owned business has been satisfying customers for 30 years and we are waiting to help you find the services you need for your garage door in Barton Creek. We install doors built to withstand tough weather conditions and perform all our work in compliance with local codes. The weather in Barton Creek, Texas is often beautiful. In the summers, it is hot and pleasant. The winters, on the other hand, can be cold and occasionally freezing. To help mitigate the extremes of the weather in the area, your garage door needs to be working properly. At Action Garage Door, we know that your garage door is often the first barrier against weather and intruders. If your door is malfunctioning for any reason, call us for immediate garage door repair. 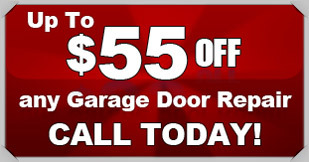 No matter what sort of garage door repair you need, Action Garage Door can help you. Call us for quotes, inspections, repairs, and more or contact us online.